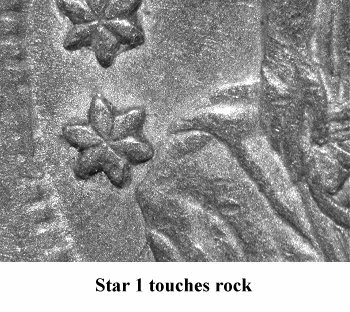 Comments: Obverse 6 is now in the latest die state known and was listed by Greer as Cracked Obverse #2. 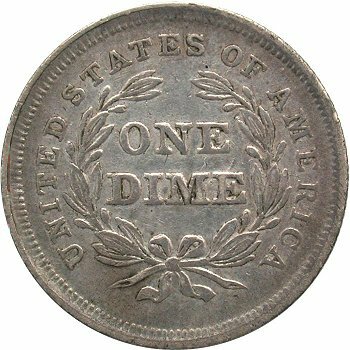 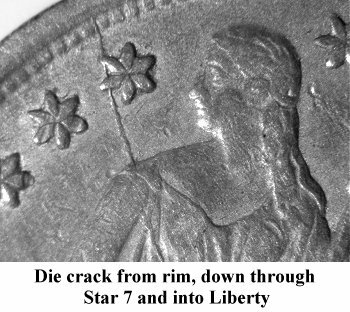 The obverse die exhibits a strong bisecting die crack starting from the rim, down through Star 7, Liberty's body and down along the outer right edge of the shield. 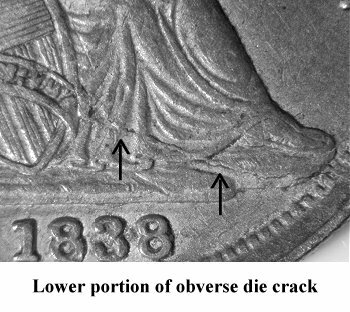 The die crack alters direction, bends and exits to the rim directly below Liberty's foot. 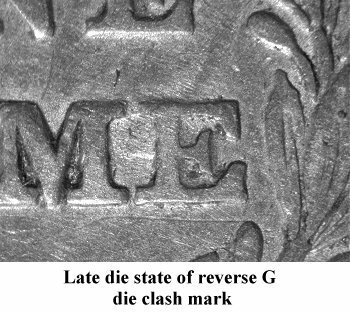 Reverse G exhibits considerable wear with a weakened die clash mark, the clash resulting from the pairing with the Partial Drapery obverse. 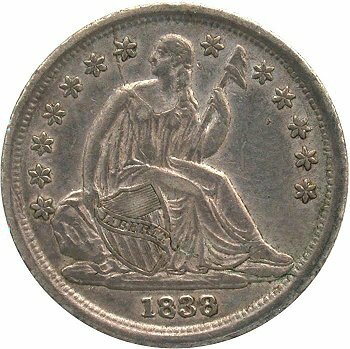 Reverse G is again utilized by the Philadelphia mint in 1839 for additional coinage.